Fauchon Paris tea - you can buy online...and Amazon sells too. Mariage Freres -My favorite flavor is Wedding Imperial - chocolate and caramel -very subtle taste. My cousin introduced me to it. You can buy at Gumps. Laduree - I savored this while it lasted. This was the almond tea. My dad's camera that he bought when he was in the US Navy. His name was carved on the top of it. Also took pictures of my favorite spring rolls from Out the Door. It was for Nicole's class. I modeled my picture after Sunset Magazine. My sister spoiled me in June for my birthday and bought me a Paulette Macaron Birthday Cake. It was a little messy but the batter that baked on the paper easily peeled off so you still can have a clean cupcake. I altered the recipe a bit with the self-rising and regular flour. The recipe was really close to the Magnolia recipe except it had an extra egg and used buttermilk instead of milk - plus there was a lot more of vanilla. A very good cupake. Also, for my mom's b-day in January my sister and I bought cupcakes from Sibby's Cupcakery. We bought red velvet w/ cream cheese frosting. These were delicious and I think the best bought cupcake I've ever tried. I hope everyone had a good one. Turkey day is now officially over. We went to my aunt's house for dinner and everyone brought a little something. 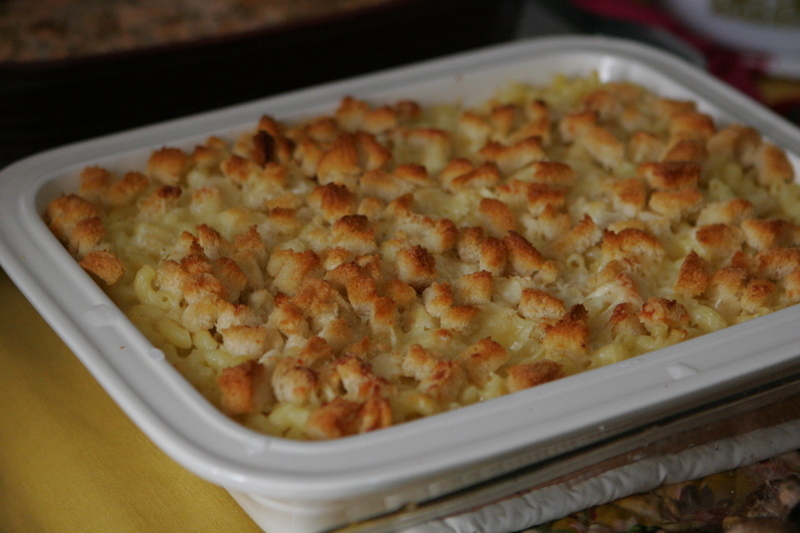 I made this macaroni and cheese. It was good but it is an expensive dish...using sharp white cheddar and gruyere cheese. I also did some Martha Stewart time saving tips. 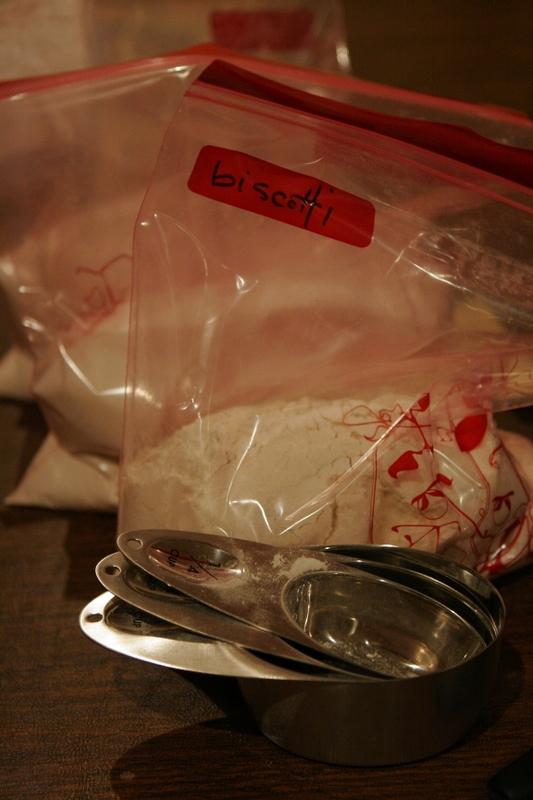 Pre-meaure your dry ingredients in ziplocs and when you're ready, just mix your wet ingredients. I got these colorful baggies from Ikea. 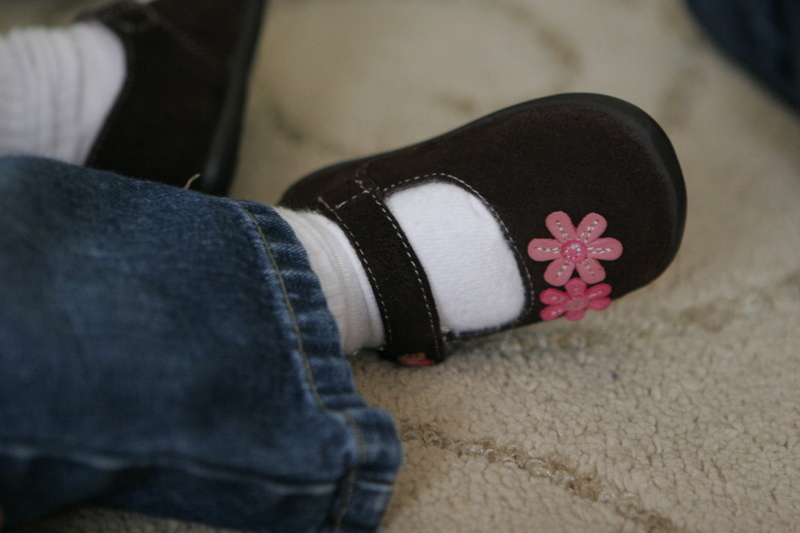 ...and just to share a photo of girlie shoes I got for Ava from Target.